Miller Electric Mfg. 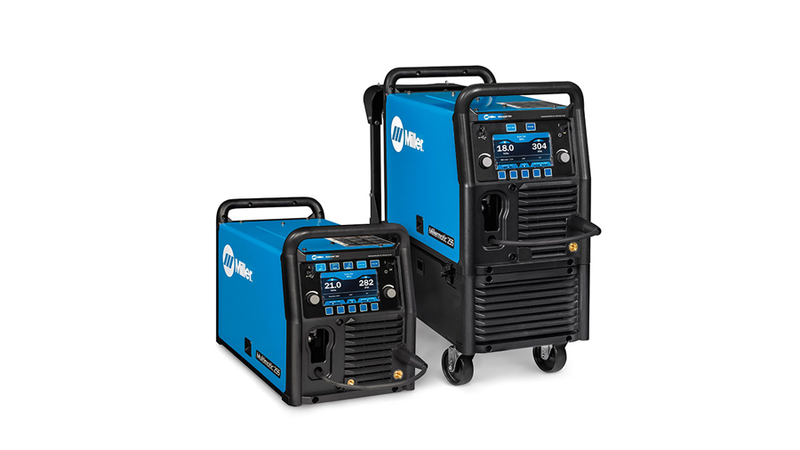 LLC introduces the Millermatic 255 MIG welder and Multimatic 255 multi-process welder that reduce downtime and increase productivity. The inverter welders weigh 84 lbs., 50 percent less than the Millermatic 252 MIG welder. With optional EZ-Latch running gear, the welders are easy to move around the shop or in the field. They can also be quickly disconnected for portability and working in confined spaces. The integrated running gear is available in single and dual cylinder models. Welders can choose the right parameters with Auto-Set Elite technology.